Whether you are a professional sign maker or a business owner looking for a powder coater to handle your custom signage project, Hanover Powder Coating has you covered! Hanover Powder Coating offers specialized powder coatings for custom signs for our customers. Our family owned business offers our customers the attention and quality to help turn your ideas into quality signs. Hanover Powder Coating feels any project is worth our best effort. We are a family owned business, and we want our customers to understand that providing proper powder coating is our passion, and we will happily take any project big or small – anything from a chassis to making a custom sign! Looking for the most durable outdoor coating available? Your signs are the first thing customers see. Why settle for automotive paint that can fade, flake and rust, when you can get powder coating for a lot less! Plus, powder coating is way more durable and chip and scratch resistant. Your powder coated sign will last for years and years. Just because making a custom sign may not seem like the most complex project, does not mean the powder coating process becomes any simpler. 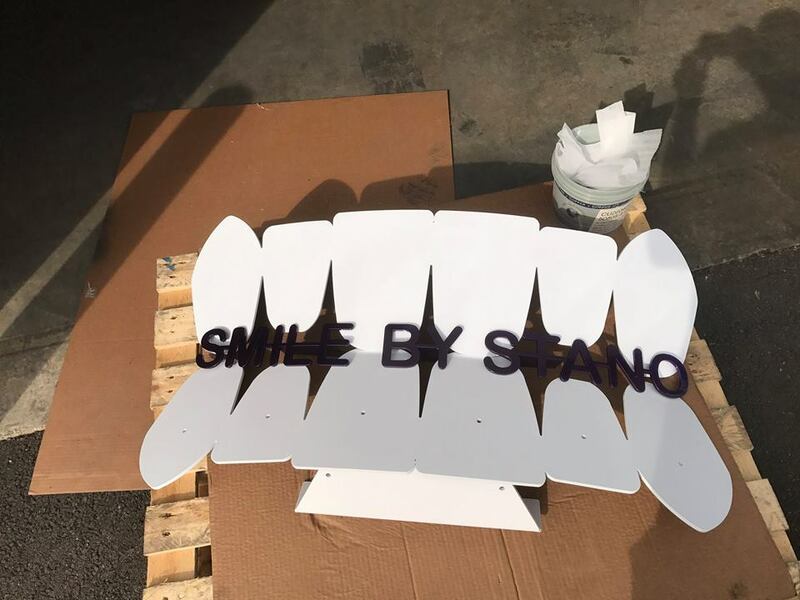 After we apply the powder coating, we still have to properly bake the surface of the sign to ensure the powder will melt and create a protective sheet around your sign. 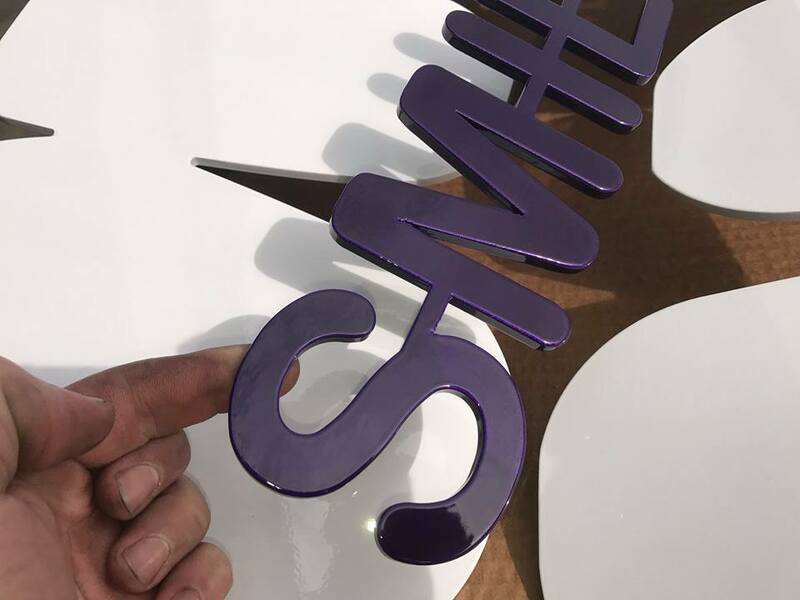 This careful process will give your custom sign the professional look while also giving it sustaining durability. Using powder coating for your custom sign is also the greener option compared to paint. Unlike normal paint, powder coating does not use solvents, as it only uses compressed air. Also, anything that is over sprayed can by reused, meaning that nothing from the powder coating process will be wasted. While a custom sign may seem like a small project, make no mistake; it should not be left in the hand of amateurs. 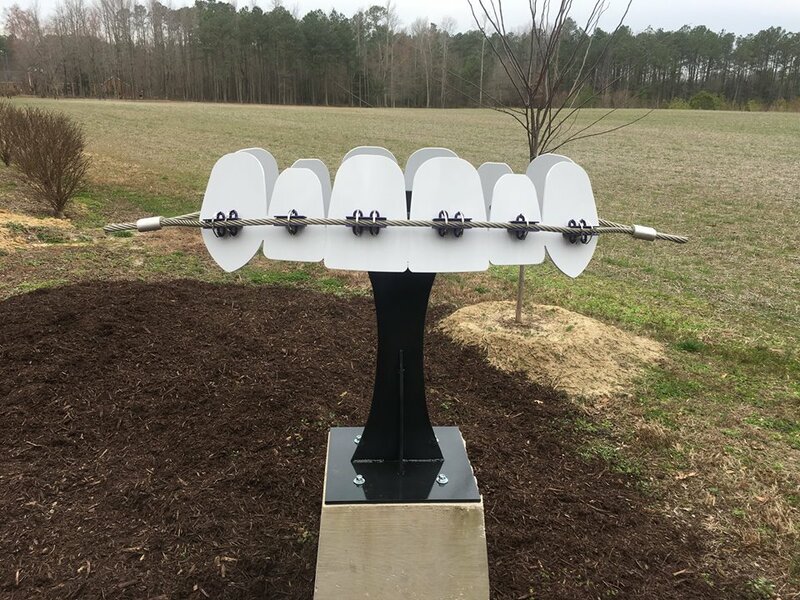 Hanover Powder Coating provides the most professional and experienced staff in the Richmond and Ashland, Virginia area. Anything from a car to a custom sign should be left in the hands of a professional who cares about the end result of the product. Make an appointment with us today!